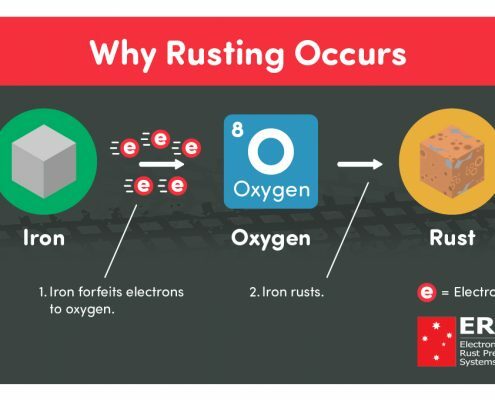 The Basic Guide to Electronic Rust Prevention - How and Why it works. Who and what is ERPS? Does Electronic Rust Prevention actually work? What makes ERPS different from the rest? Would you like the freedom to drive anywhere without fear of your vehicle rusting out? If you’re currently living on or near the beach, like the majority of Australians’, chances are your vehicle is at risk of rust damage. This guide aims to take you through basic information you need, to better understand your situation and equip you with the knowledge needed to get one up on rust. Before we start though, let us tell you a little about who we are and what we stand for. ERPS has been manufacturing Electronic Rust Prevention Systems, right here in Australia since 1996. We have had the privilege of dealing with thousands of amazing customers, worldwide, who have helped us establish ourselves as a leader in our industry. Throughout, we have been on a mission to improve and develop our systems and ensure we are delivering the absolute best product for our customers. The addition of an electrolyte, such as salt water, acid rain, or moisture, further accelerates this reaction. 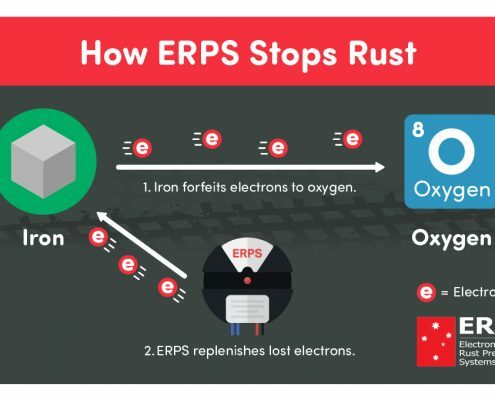 Through an electrical charge, the ERPS system creates an excess of electrons on the steel structure, meaning the steel becomes less reactive and the rusting reaction is drastically slowed or even stopped! All of these systems work on the same premise – supplying an excess of electrons to a structure. Though cathodic and impressed current systems work, they require an aquatic or ground based environment and therefore are not capable of working on ‘free air’ structures, such as cars, buses, trucks or 4wd’s. ERPS uses a proprietary Capacitive Coupling Technology, which has been designed exclusively for automobiles and other free air structures. With over 20 years of research and development, countless success stories and satisfied customers from over 30 different countries, we’ve created a system that has been proven in the harshest conditions. We are so confident in our systems that we offer extensive 10 year product and corrosion warranties (See warranty section for full details). We hope this guide has served to better inform you and clarify “all things – electronic rust prevention”. You can check our ‘Information’ section to find more in-depth material. To find out which system you need, click the link below!